Statoil, on behalf of the license holders, has submitted a Plan for Development and Operation of the Trestakk discovery on the Halten Bank to the minister for petroleum and energy, Tord Lien, in Bodø. Capital expenditures are estimated at approximately 5.5 billion NOK. The discovery, made in 1986, contains about 76 million barrels of recoverable oil equivalent, mainly oil. 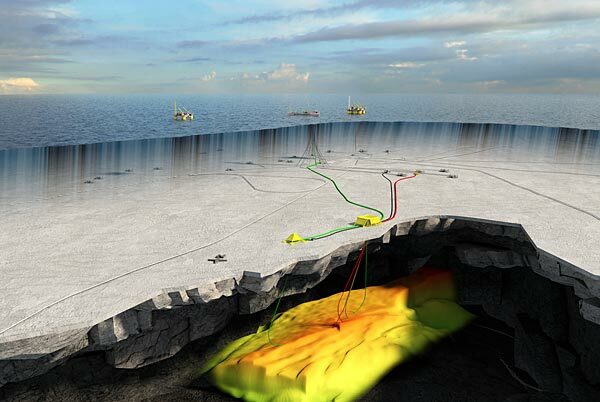 The project will be tied back to the Åsgard A oil production vessel, with planned production start-up anticipated in 2019. “Trestakk is a good example of what is possible to achieve through spending time on working toward the best concept selection. By rethinking our concept along with license partners and suppliers, we have arrived at a solution that costs almost 50% less than the original concept. At the same time, we have been able to increase the recoverable resources significantly,” says Torger Rød, head of project development in Statoil. The first investment estimates were around 10 billion NOK, which was reduced to 7 billion NOK when the concept selection was made in January 2016. Additional improvements and concept adaptations this year further reduced the estimates to about 5.5 billion NOK. The concept selection consists of a template structure and an attached satellite well, which will be tied back to Åsgard A. Three production wells and two gas injection wells will be drilled for a total of five wells. “Volumes from Trestakk are an important contributor to ensure that operations on the Åsgard A production ship are extended toward 2030 and that more of the original volumes from the Åsgard field can be extracted,” says Siri Espedal Kindem, senior vice president for operations North in Statoil. The reductions have been achieved through rethinking concept, simplifying and reducing scope in addition to capitalising on recent efficiency improvement initiatives. “This shows what we, as an industry, have managed to achieve in just a few years’ time. The Norwegian supplier industry has in recent years shown a great ability to find good, cost-effective solutions that have made it possible to realise projects such as Trestakk, even though the oil price is low,” says Rød.